Kingfisher share price, sales, profits fall: Is Sir Ian Cheshire leaving Véronique Laury in a Screwfix? Is Sir Ian Cheshire leaving Véronique Laury in a Screwfix? 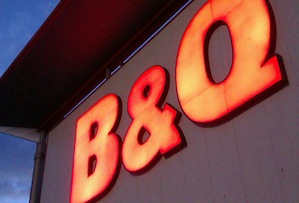 Kingfisher's third quarter profits fall almost 12%, a couple of weeks before Ian Cheshire hands over the hammer and nails. One of the hallmarks of a good CEO is knowing when to get out – supermarket titans Sir Terry Leahy and Justin King both departed before the proverbial hit the fan, for example, leaving the trickier aspects of their legacy to their successors. And so, as Sir Ian Cheshire gets ready to leave DIY giant Kingfisher after it reported tumbling profits, the questions arises: is his timing also rather convenient? The B&Q and Screwfix owner’s third quarter profits were down 11.8% to £225m, or 6.9% when exchange rate swings were stripped out. Sales fell 3.6% to £2.8bn in the 13 weeks to November 1st. France used to be Kingfisher’s biggest source of revenue, but sales fell 9.3% to £1.06bn (2.7% on a constant currency basis), compared to a 4.8% rise to £1.15bn in the UK and Ireland. It still rakes in the largest profits, but those dropped 14.3% to £120m, whereas Britain and Ireland’s climbed 11.1% to £70m. In Kingfisher’s other markets, profits plunged by a third to £35m, blamed on a tumbling Russian rouble and a slowing Chinese property market. That sea of red outside the British Isles does not make for a warm welcome for incoming chief executive Véronique Laury, who currently heads up the group’s struggling Castorama France chain. But to be fair to Cheshire, he’s been in the top job for 17 years and the economic problems across the Channel aren’t exactly new. And while shares were down almost 5% to 289.5p in mid-morning trading, not all City bods were down on Kingfisher’s prospects. ‘Kingfisher is beginning to look interesting value assuming we have seen the last of the downgrades, considering the company’s ability to generate significant free cash flow… and its dominant market position both in the UK and France,’ Cantor Fitzgerald analyst Freddie George said. The French economy doesn’t look like it’s going to revive any time soon, though. That means Laury will have to make some tough choices to steady the business there if she’s going to make a clean break from her predecessor.